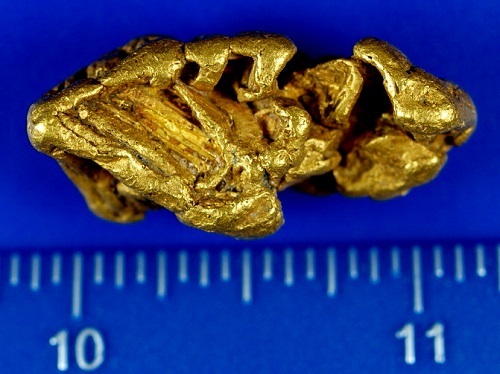 This beautiful nugget came from the well known gold bearing area of Atlin, British Columbia. Not only was it a nice chunk weighing around an ounce, but it also had a really attractive shape and neat natural designs in the gold. I wish I had a whole pocket full of these! Some gold collector was very happy to add this to their collection.